The padding is pretty substantial on these, it’s almost two inches thick and pretty dense. There’s also a nice air pocket (feels similar to a tennis ball, but more ovular) over the palm to absorb impact. 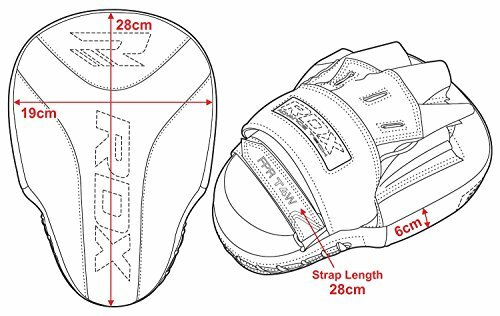 RDX Focus Mitts differ from the regular boxing mitts, as these actually have padding down over the wrist. 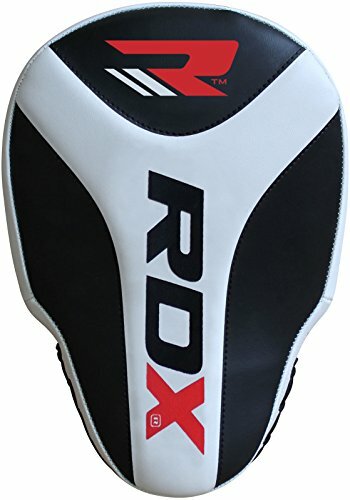 The padding over the wrist is slightly concave to follow the shape of your arm when you are holding the mitts, which is great for those missed shots that might glance off downward. The wrist covering also helps if you are adding in knees strikes or light kicks. 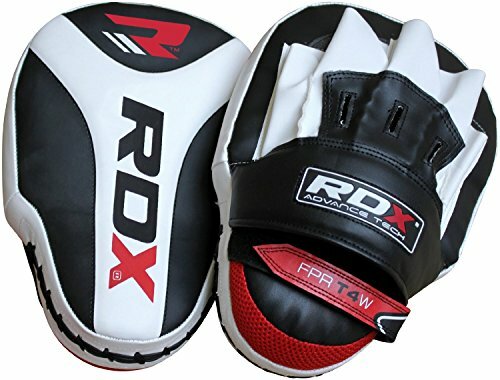 If you are a relatively good pad holder and know your training partner I imagine you could work a full Muay Thai warmup on these; the padding is there, it’s just the impact might wear your joints more. 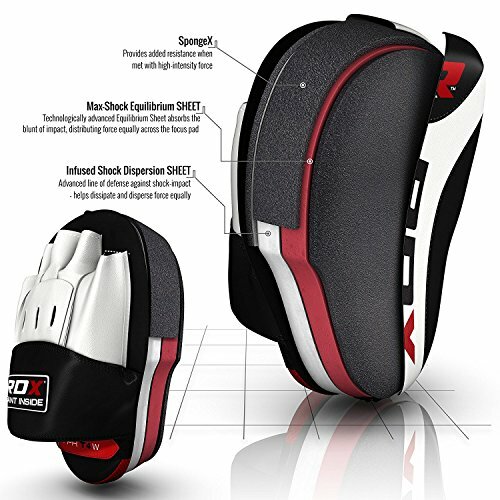 Overall the padding and protection is topnotch for punches , you can take full power shots without any hand pain whatsoever. These bad boys are all leather, and have solid stitching throughout. All of the seams join nicely, and there don’t appear to be any weak spots at all. 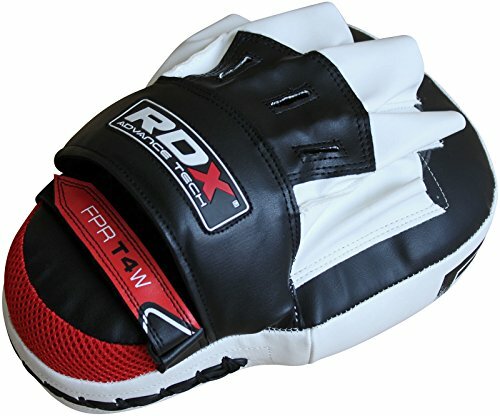 I’ve had two sets of focus mitts before these, and I could instantly tell a difference in design and craftsmanship. I expect these to last 5 years or more with proper care. The slight concave curvature of the mitts over the wrist area is my favorite part. The wrist strap is a great addition also, keeping you from having to make those mid-drill adjustments. The inside of the slip on area has light cushioning for the backside of the hand, and is very well ventilated. Three slots over the back of the hand prevent “glove hand” after some heavy mitt work. Really great for uppercuts and hooks, and the impact absorber over the palm makes it always painless. You really can’t complain about the price. 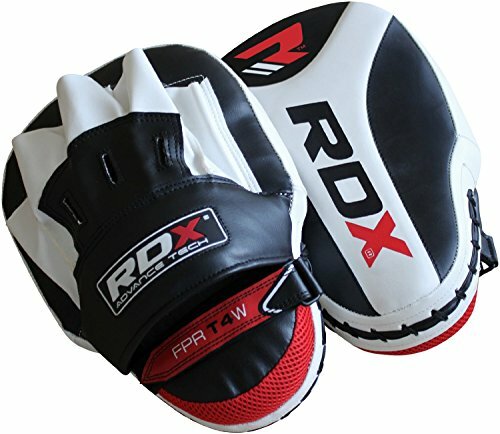 When you actually get to work with them you instantly notice a difference from the typical boxing mitts, especially after a couple rounds. I think they are an absolute bargain, especially considering the great construction and design. I picked these focus mitts up for training with friends, outside the academy. I’ve had them about 8 months, and I’m pretty pleased with them so far. 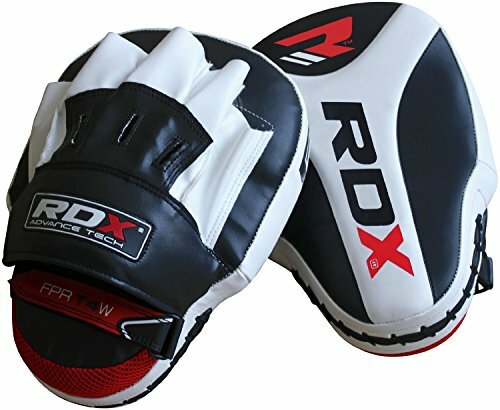 I purchased these RDX Focus Mitts at full price. This did not influence the outcome of the review, after 8 months of training with them.